If you liked the Nintendo Quest documentary, you'll no doubt be interested in Director Rob McCallum's next epic gaming tale, Box Art: A Gaming Documentary. If the Kickstarter is funded we will go on a quest to discover the real story behind the world of video game artwork. With over 100 potential interviewees made up of key illustrators and game developers, the campaign could become a five-disc set that sees separate discs for interviews and extended segments and also have the material transition from feature-length film to docu-series. Before game trailers and the Internet age, even before magazines, our first contact with video games was the cover art on the front of the box. The image "sold" the game with the promise of an experience – but McCallum thinks there's more to it. Together with his experienced and passionate team, he aims to explore cover art in every era of gaming as well as discover the unsung artists. They will ask big questions like "when does something become art?" and "When does it become collectible? ", and learn how box art and the process of creating it has changed since the Atari days. They also plan to delve into related topics, including strategy guides, gaming magazines, game manuals, and instruction guides for both PC and home consoles. With over 100 people on board from all aspects of the industry, including founder of mega giant Electronic Arts (EA) Trip Hawkins, founder of Electronic Gaming Monthly (EGM), Jeff Peters, Gerald Brom of "Doom" fame, actress and personality Jessica Chobot, and Atari co-founder Ted Dabney, Box Art will have a diverse roster that can comment from all angles, making this project much more than a love-letter to game illustrations. No one has told the story of the people who've created some of the most iconic images in video game history - but that's about to change. I'm excited to learn everything about box art from the people responsible. You can only research a subject so much before you start going in circles but hearing the history from those responsible will be an experience you can't replicate reading or by searching on Google. We have stretch goals that give us a lot of freedom to restructure the material and I hope we hit that level so we can share as much of this experience as possible. 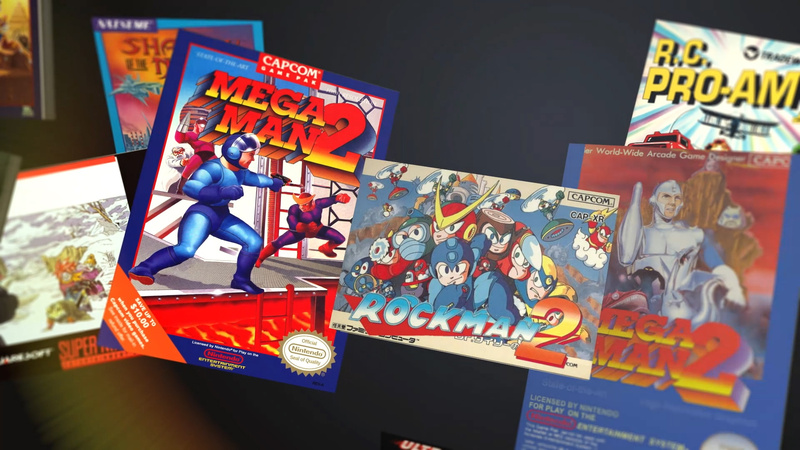 In addition to the standard DVD and Blu Ray reward options, the Box Art campaign also offers physical numbered game boxes, sponsorship opportunities and original development art from the NES and SNES eras. Aside from McCallum, "Box Art: A Gaming Documentary" will be produced by noted media personality Patrick Scott Patterson, Director of Museum of the Video Game Art (MOVA) Tim Lapetino, and Sara Ventura. So far the Kickstarter is off to a great start with over $10,000 pledged already of its modest $30,000 goal. For more information visit BoxArtDoc.com or connect with Facebook.com/BoxArtDoc and Twitter @BoxArtDoc. Let us know if you're excited about the prospect of such a documentary with a comment below. The box art on Mega Man 1 (Nes) and Wizard & Warriors 2: Ironsword are my favorites. I always loved the really simple Master System box art. All looking like it was drawn on one of those square grid school exercise books. Pro Wrestling is a particular classic. Never liked the flashier ones as much. Sadly box art means next to nothing now as kids can watch hours of online videos and look at a million screenshots and reviews before deciding what to buy. The days of staring at a cover image, which bore almost no resemblance to the game held within, and deciding that it must be an amazing game are long gone. @PleaseUnderstan yeah, Fabio on the cover was pretty funny. Why is Jessica Chobot even listed in the same sentence as those other people? She's a pretty face with almost zero personality (just smugness). I saw that too. Odd. I guess they think someone needs a pretty face for the movie...even though she appears way too young to have even been around, when game box art was still thing. After reading everyone that maybe in it, I decided to back this. Its the first time I have ever backed something on kickstarter. Good luck to the team! I have always loved video game art, whether the boxes or the arcade art, and I'm glad to see some love shown for this art form.